This past week a man that I’ve known since I was a kid went to be with the Lord. Mr. Jim was my neighbor when I was growing up and our family went to church with him. More importantly, Mr. Jim taught me how to tie a tie. When I was in middle school I was involved with school activities that required me to wear a tie. My dad never wore a tie so he encouraged me to go to Mr. Jim to see if he could teach me how to tie the perfect knot. One afternoon, I went to Mr. Jim’s house. After pulling out two ties for us to practice with, he showed me how to do each step and then would have me do the same thing. Sometimes the back side of the tie ended up longer than the front. Sometimes the knot was crooked. Then, it finally happened. THE PERFECT KNOT. Proud of my new skill, I wore ties even when I was not required to wear a tie. I’d advanced beyond the clip-ons and was wearing a REAL tie that I’d actually tied myself. When I heard that Mr. Jim passed away last week, I was taken back to the day he taught me how to tie a tie—and how I‘ve held on to that experience for decades. Young adults are hungry to spend time with individuals that are a little more seasoned in life than they are. LifeWay research has indicated that young adults significantly value the opportunity to connect with or be mentored by someone that will believe in them and help them along life’s journey. Why is connection with older adults important in the life of young adults? Here are three reasons to consider. 1. Mentoring is not an option, it’s Biblical! When churches begin to develop a culture of mentoring, we see the intentionality behind relationships that bridges the generations. If we don’t feel like we know enough or have enough to offer another generation, we’re missing out on one of the commands that God gives us as followers of Christ. Being intentional about finding young adults within your sphere of influence should be an important part of any young adult leader’s life. Mentoring is more than doing Bible study; it’s learning how to share your life as a follower of Christ in whatever context you find yourself. These relationships are usually built more on watching than talking. 2. Following Christ is difficult at times. Young adults need to know that following Christ is a commitment that while never regrettable, but is not always easy. When they have someone in their life that will be able to journey with them through the difficult days of being obedient, they will gain encouragement and strength that will prepare them for days to come. Mentoring allows the next generation of followers of Christ to be developed through the joys and the difficulties. 3. You really do have something to offer. The beautiful aspect of the Body of Christ is that we all have gifts and talents that can be used to further the Kingdom. There are young adults within your sphere of influence that would love to sit with you to see how you use those gifts in your everyday walk with the Lord. I often hear older adults say that they don’t have anything to offer young adults. There is absolutely no truth in that statement. Young adults are hungry to hear your stories and ask you questions. Will they always do it the way you did it? Probably not. However, they will have someone that they can trust that they know understands the questions they may have. I learned a lifelong skill from a man that cared enough to spend an afternoon with me looking in a mirror to tie that knot. However, what I took away from that relationship with Mr. Jim was far more. I saw a man that loved the Lord with all that he was everyday and in every relationship. 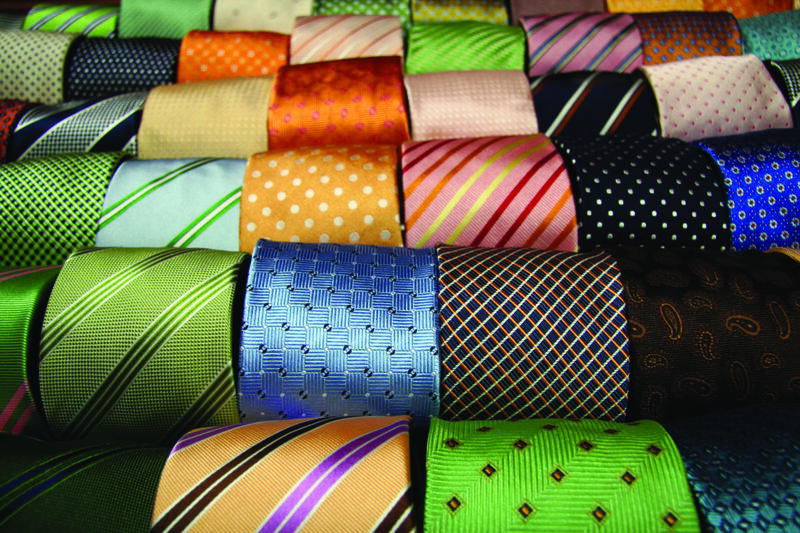 There is a young adult in your world that is looking to learn how to tie a tie! Want to better understand mentoring? Check out the book Mentor: How Along-The-Way Discipleship Will Change Your Life by Chuck Lawless. Click here to order this LifeWay resource.